The 2019 Ford Explorer's2 standard sunroof lets the light in on even the gloomiest day. Sadly, the 2019 Chevrolet Traverse's3 sunroof will cost you extra. Want more power and higher top speeds? Consider the 2019 Ford Explorer4, boasting 55 more horses than the 2019 Chevrolet Traverse6. The 2019 Ford Explorer's4 increased torque - 3504 lb.-ft. vs. 2955 lb.-ft. - can mean the difference between easy going and a sluggish ride. The 2019 Ford Explorer's7 slightly smaller turn radius means more agile maneuvering and easier parking. The 2019 Ford Explorer8 is so confident in their materials and workmanship, they'll pay for the cost of perforation repairs for 2 years longer than the 2019 Chevrolet Traverse6 - quite a consideration for drivers who live in climates where corrosion is a risk. 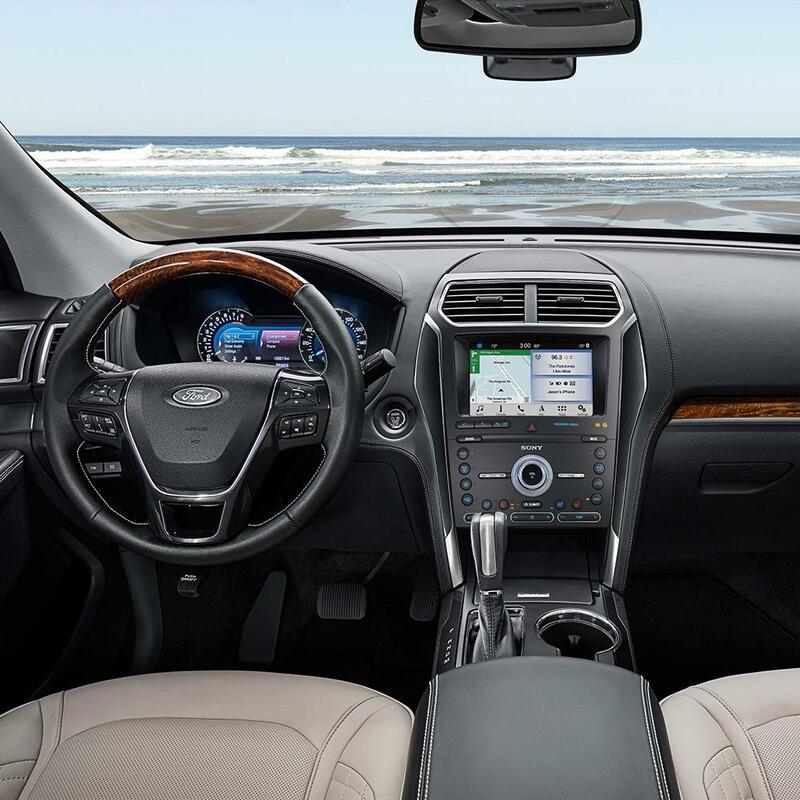 The 2019 Ford Explorer's4 active Blind Spot Monitoring System warns you when a vehicle enters your blind spot, a little more peace of mind as a standard feature. 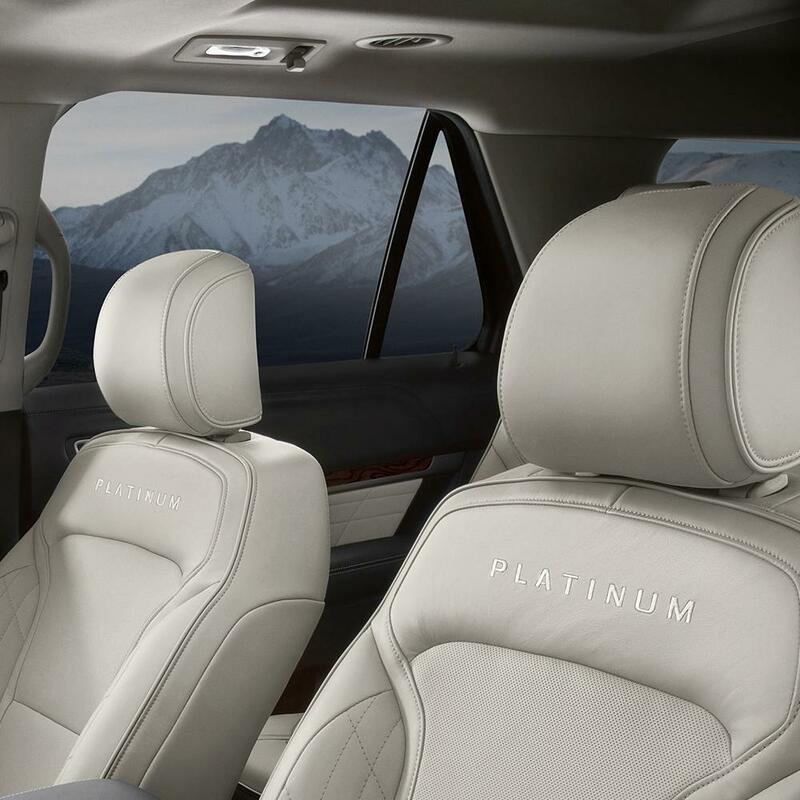 Want that extra security on the Durango? Blind Spot Monitoring isn't standard on the 2019 Dodge Durango6, so it will cost you. 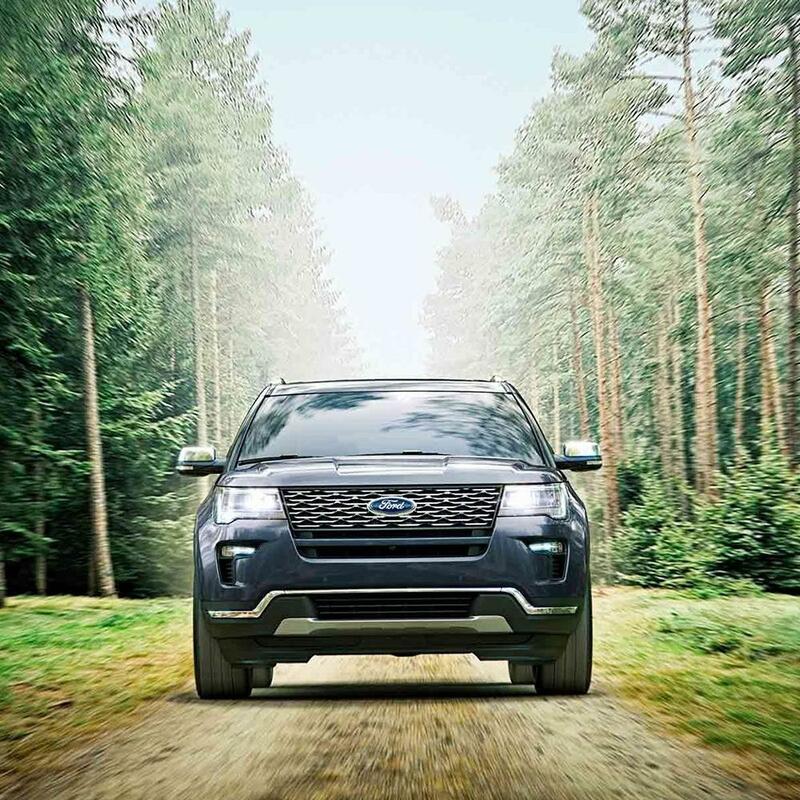 If your vehicle begins to drift out of its lane, the Lane Departure Warning System, standard on the 2019 Ford Explorer5, will sound an alarm. This extra layer of safety isn't standard on the 2019 Dodge Durango7, so if you want it, you'll have to pay extra. If you're trying to pinch pennies, every single mile per gallon toward better fuel economy counts, including the one between the 2019 Ford Explorer2 and the 2019 Dodge Durango3 on the highway. 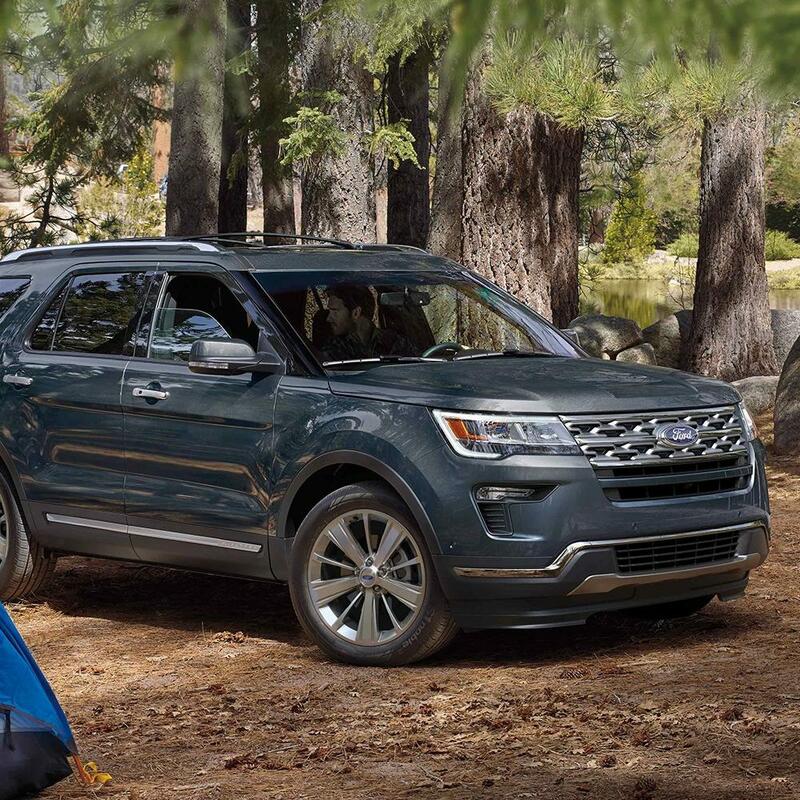 Enjoy the increased safety, fuel economy, and yes, fun, of the 2019 Ford Explorer's2 optional turbocharged engine. Sadly, turbo isn't an option on the 2019 Dodge Durango. Tired of hunching over the steering wheel, or scooting the driver's seat all the way back? No worries. 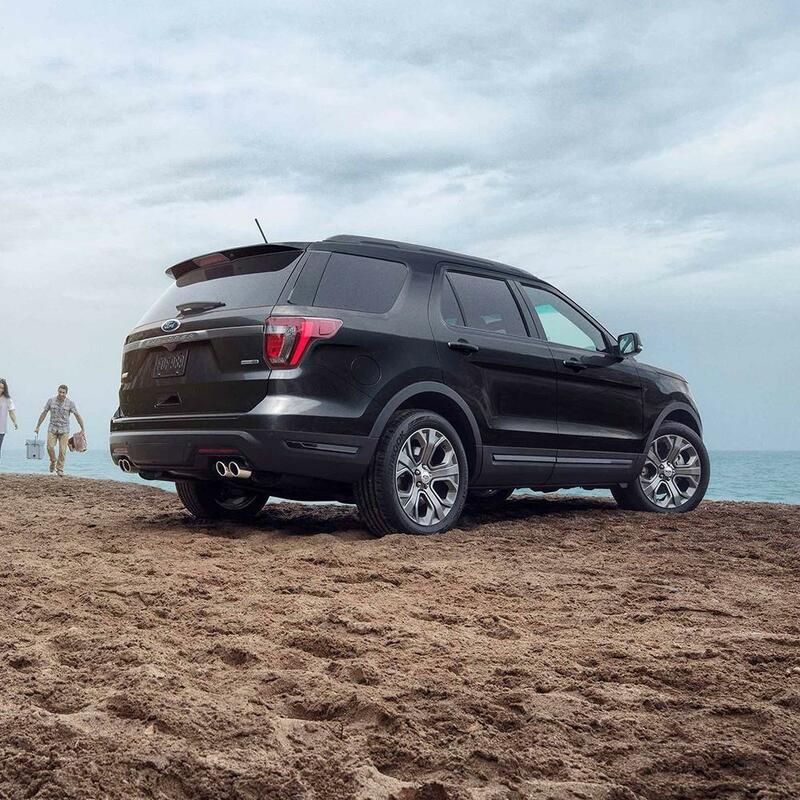 The 2019 Ford Explorer2 offers 4 more inches of combined front head and leg room than the 2019 Dodge Durango3, making the awkward hunch-back driving pose a thing of the past. 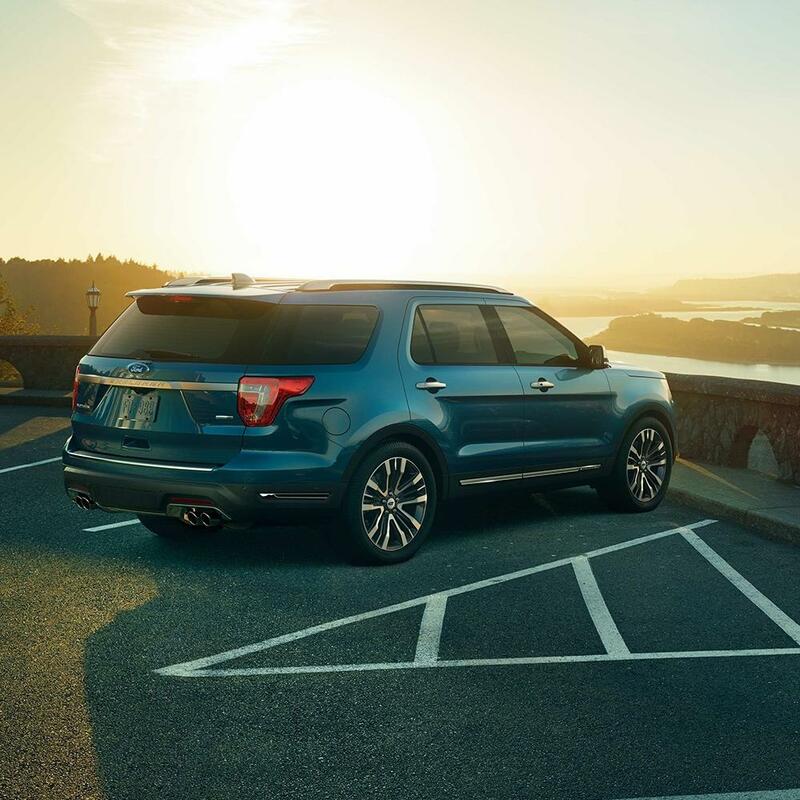 Offering 2 more inches in combined rear head and rear leg room than the 2019 Dodge Durango3, the 2019 Ford Explorer2 is roomy enough for even the tallest of your passengers to travel in comfort. Bye-bye cramped "airplane-legs," hello rear passenger comfort. Want more power and higher top speeds? Consider the 2019 Ford Explorer2, boasting 85 more horses and 10 more horses per ton than the 2019 Honda Pilot3. The 2019 Ford Explorer's2 increased torque - 3502 lb.-ft. vs. 2623 lb.-ft. - can mean the difference between easy going and a sluggish ride. 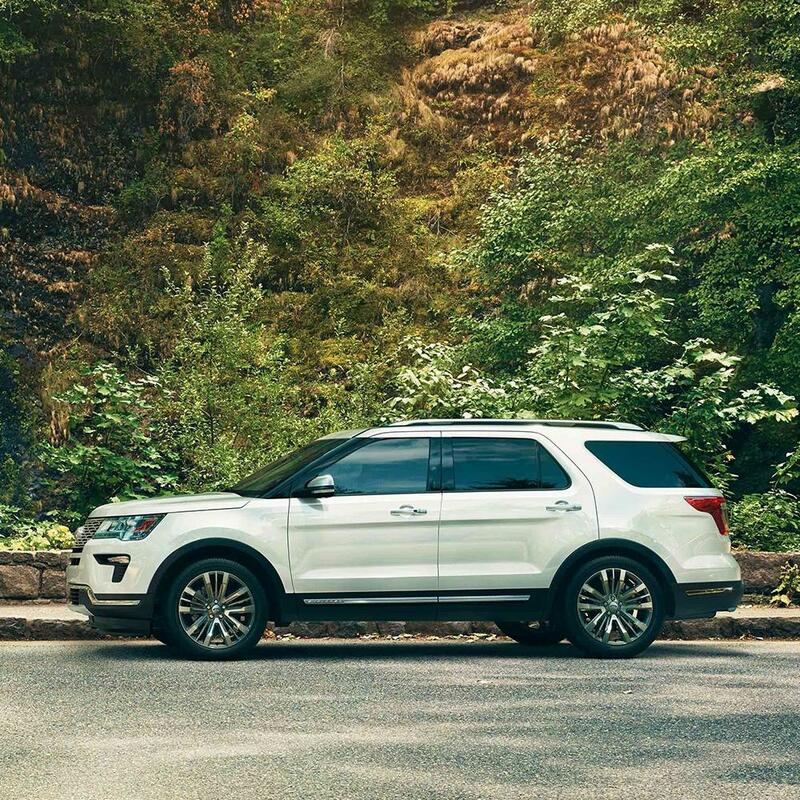 Enjoy the increased safety, fuel economy, and yes, fun, of the 2019 Ford Explorer's4 optional turbocharged engine. Sadly, turbo isn't an option on the 2019 Honda Pilot. Tired of hunching over the steering wheel, or scooting the driver's seat all the way back? No worries. The 2019 Ford Explorer4 offers 2 more inches of combined front head and leg room than the 2019 Honda Pilot3, making the awkward hunch-back driving pose a thing of the past. The 2019 Ford Explorer's5 slightly smaller turn radius means more agile maneuvering and easier parking. Even an increase of just an inch or two in wheel base can mean more stability, and the 2019 Ford Explorer4 has 1 more of those stability-increasing inches. In the very unlikely event you'll need it, help is just a phone call away, 24 hours a day, 7 days a week, with the 2019 Ford Explorer's4 Roadside Assistance, standard for 2 years longer than 2019 Honda Pilot3. 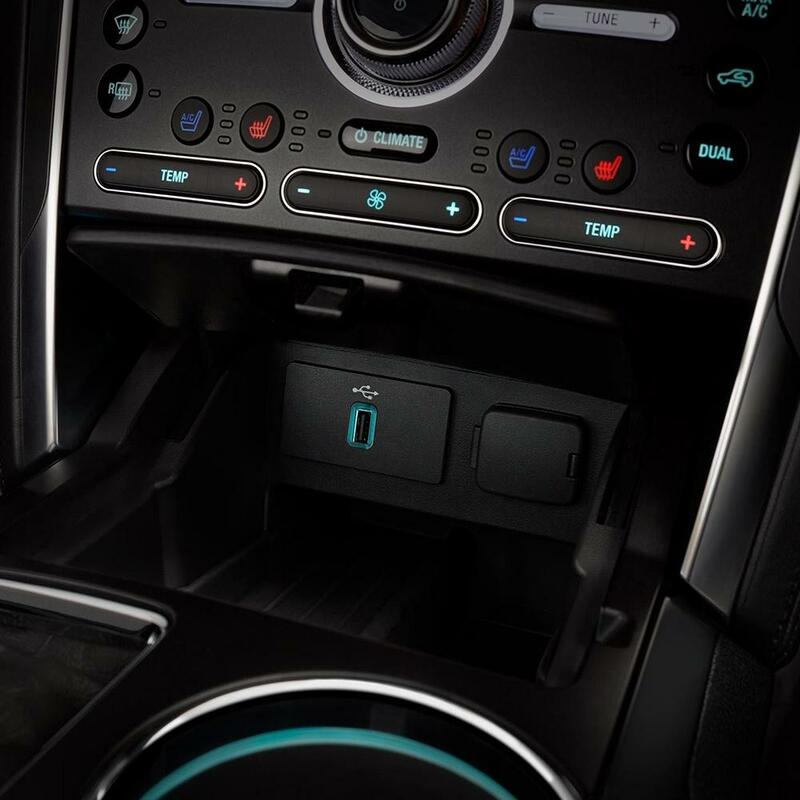 If your vehicle begins to drift out of its lane, the Lane Departure Warning System, standard on the 2019 Ford Explorer4, will sound an alarm. 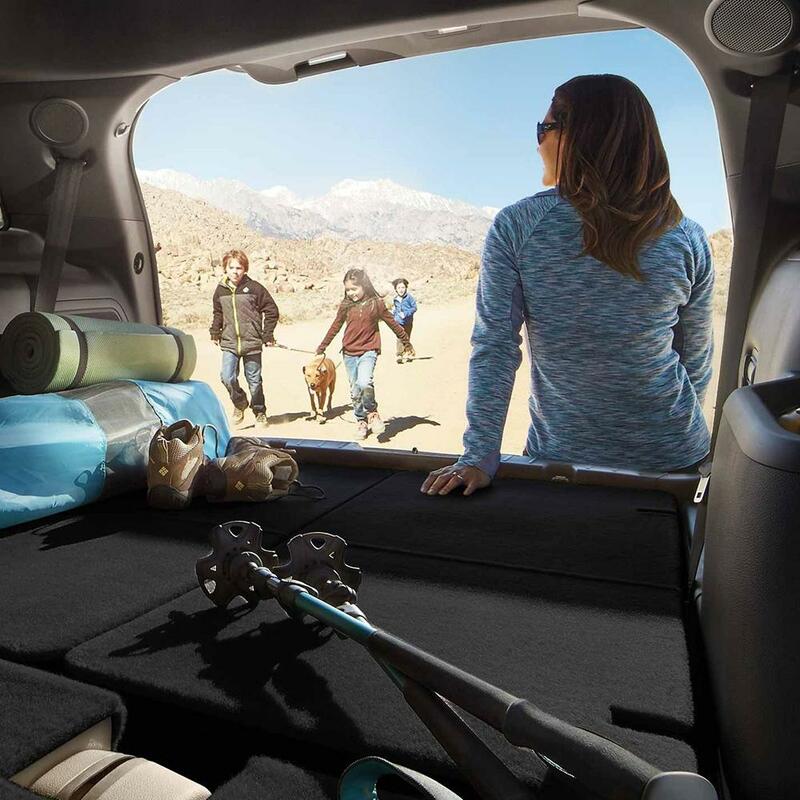 This extra layer of safety isn't standard on the 2019 Nissan Pathfinder, so if you want it, you'll have to pay extra. Want more power and higher top speeds? Consider the 2019 Ford Explorer2, boasting 81 more horses and 17 more horses per ton than the 2019 Nissan Pathfinder3. 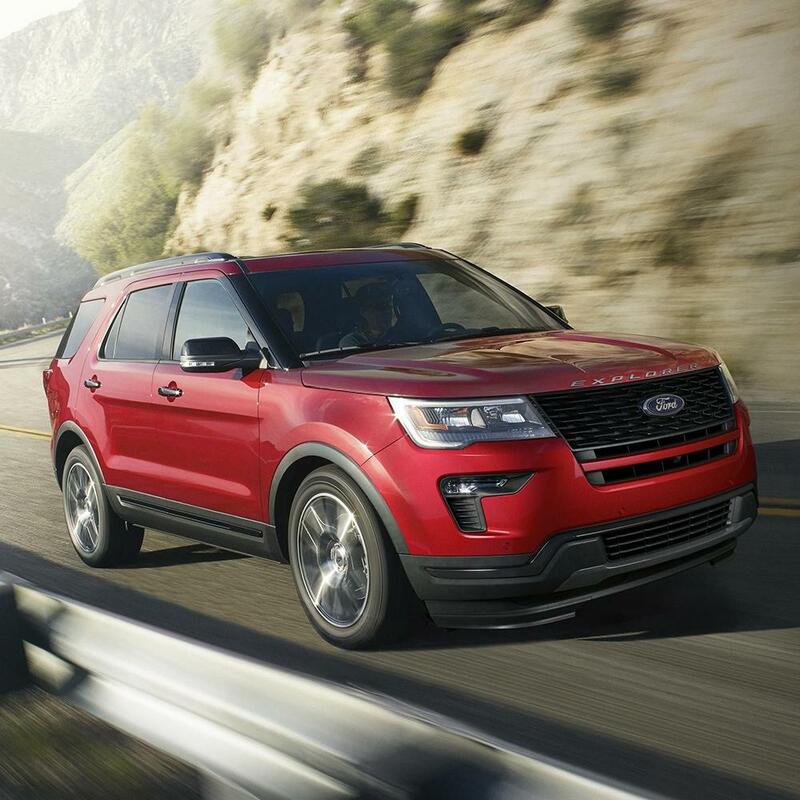 The 2019 Ford Explorer's2 increased torque - 3502 lb.-ft. vs. 2593 lb.-ft. - can mean the difference between easy going and a sluggish ride. 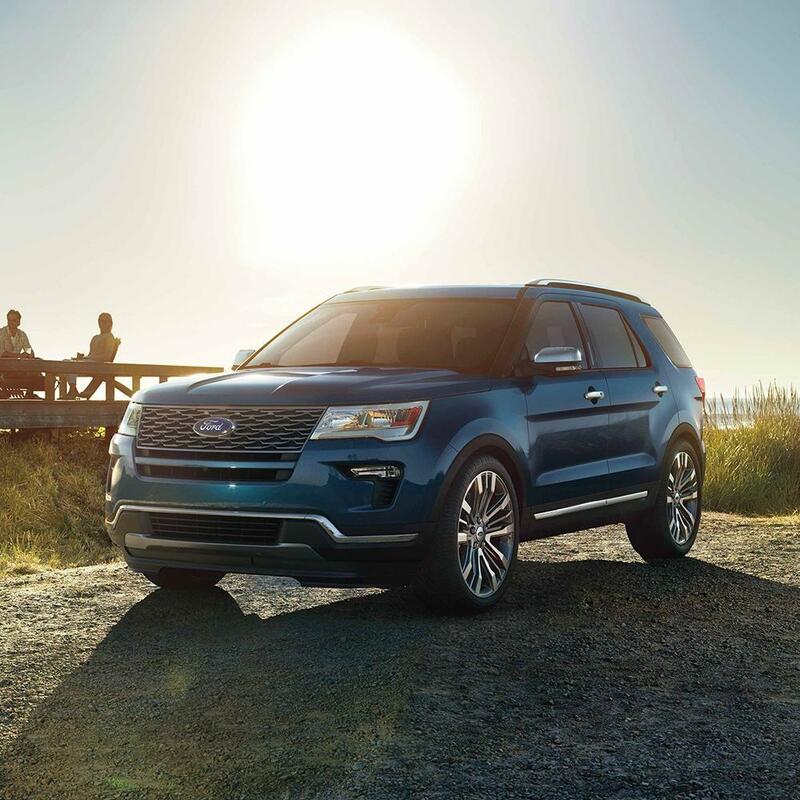 Enjoy the increased safety, fuel economy, and yes, fun, of the 2019 Ford Explorer's5 optional turbocharged engine. Sadly, turbo isn't an option on the 2019 Nissan Pathfinder. No more scuffing the bottom of your car in steep driveways - the 2019 Ford Explorer6 has more than enough ground clearance - 1 inch more than the 2019 Nissan Pathfinder3 - to make it in and out without the dreaded scrape. 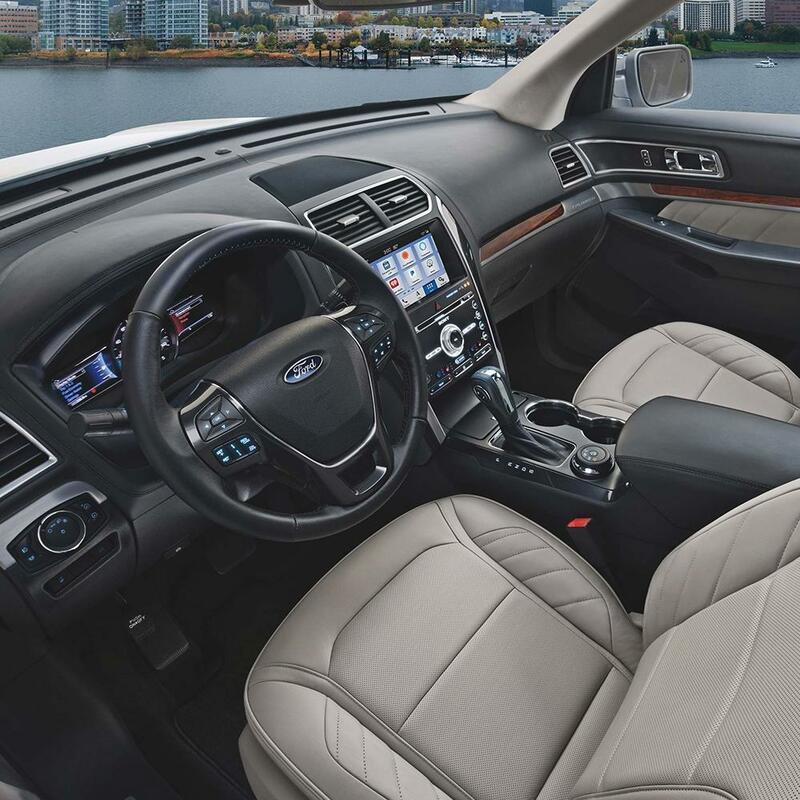 Offering 2 more inches in combined rear head and rear leg room than the 2019 Nissan Pathfinder3, the 2019 Ford Explorer5 is roomy enough for even the tallest of your passengers to travel in comfort. Bye-bye cramped "airplane-legs," hello rear passenger comfort. In the very unlikely event you'll need it, help is just a phone call away, 24 hours a day, 7 days a week, with the 2019 Ford Explorer's5 Roadside Assistance, standard for 2 years longer than 2019 Nissan Pathfinder3. 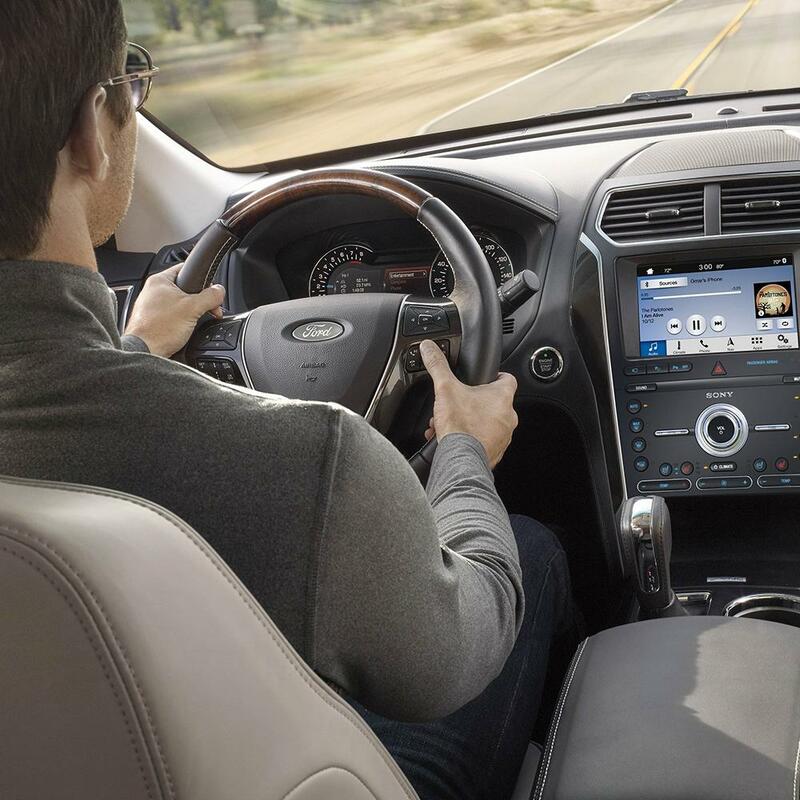 The 2019 Ford Explorer's6 active Blind Spot Monitoring System warns you when a vehicle enters your blind spot, a little more peace of mind as a standard feature. Want that extra security on the 4Runner? Blind Spot Monitoring isn't standard on the 2019 Toyota 4Runner, so it will cost you. 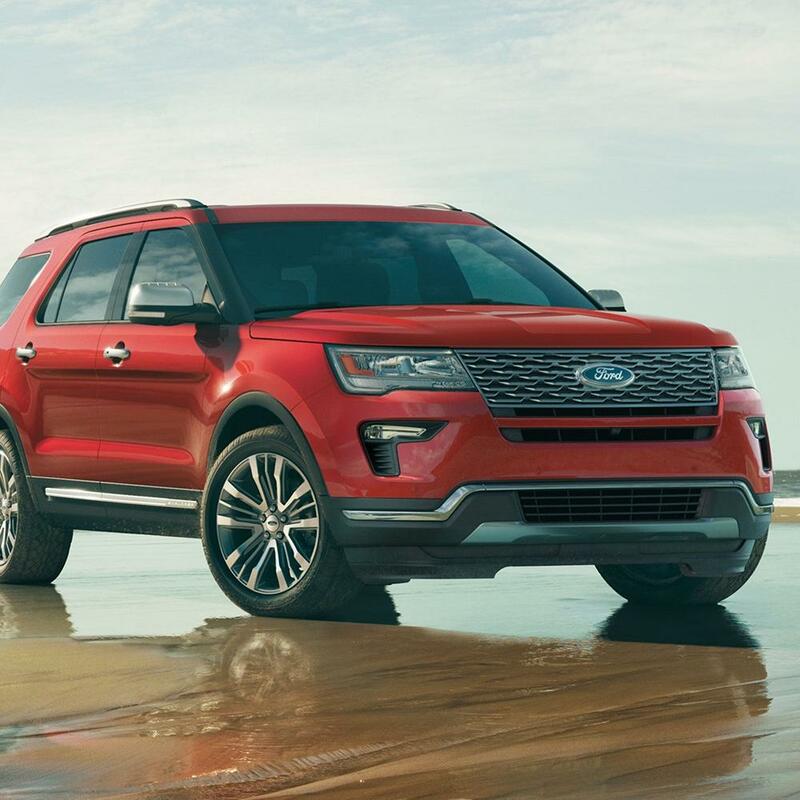 If your vehicle begins to drift out of its lane, the Lane Departure Warning System, standard on the 2019 Ford Explorer7, will sound an alarm. This extra layer of safety isn't standard on the 2019 Toyota 4Runner, so if you want it, you'll have to pay extra. 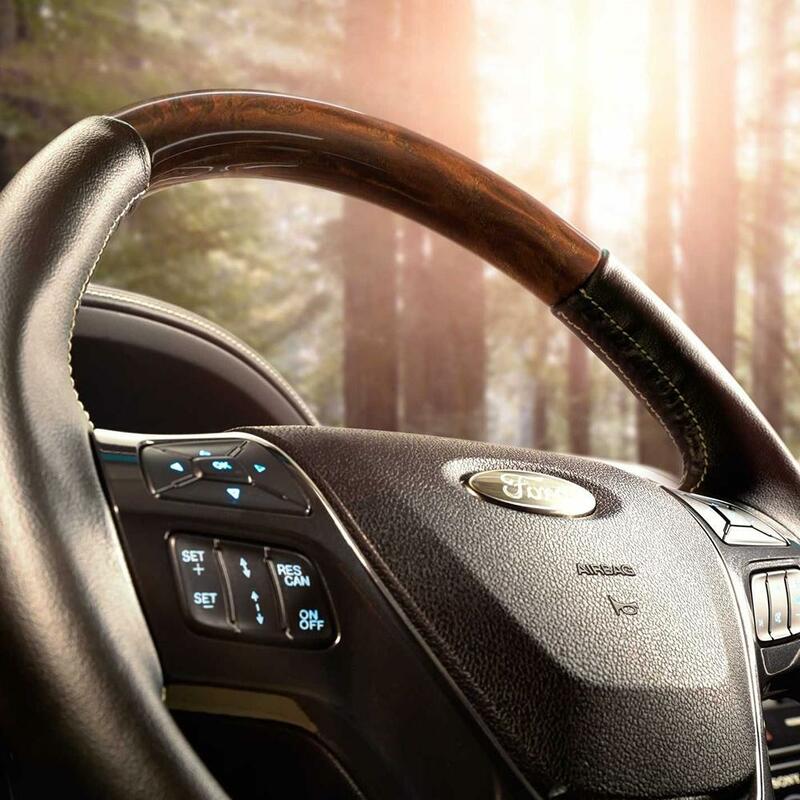 Who says you can't have both luxury and eco-friendly fuel efficiency? The 2019 Ford Explorer2 offers more miles per gallon both in the city and on the highway than the 2019 Toyota 4Runner3 - 1 more and 4 more MPGs, respectively - meaning you'll use less fuel and emit fewer greenhouse gases, while still enjoying the luxury and performance you've come to expect from Ford. Bravo! Want more power and higher top speeds? Consider the 2019 Ford Explorer4, boasting 95 more horses than the 2019 Toyota 4Runner3. 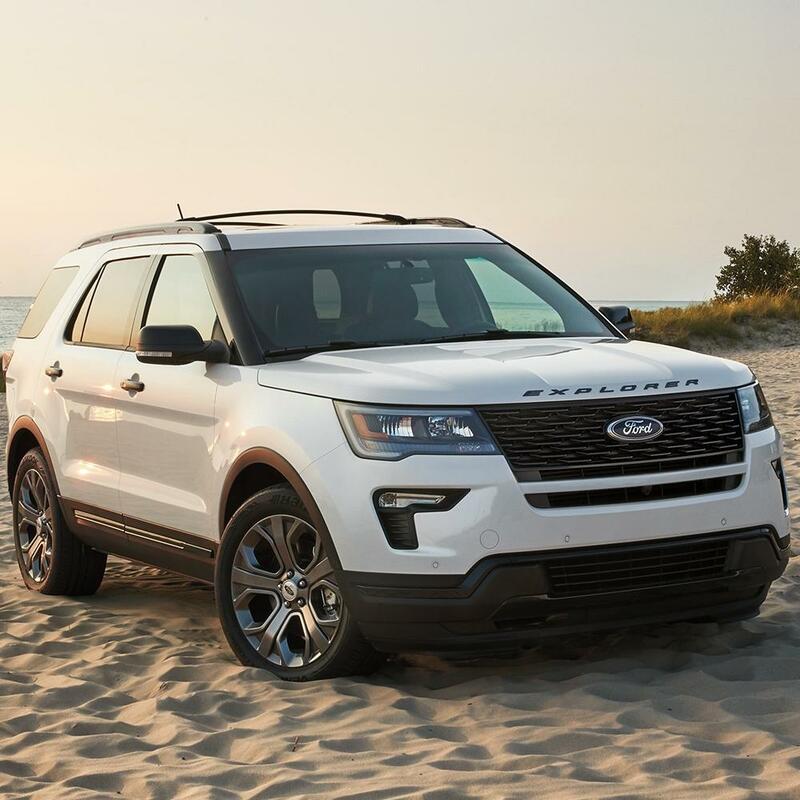 The 2019 Ford Explorer's4 increased torque - 3504 lb.-ft. vs. 2783 lb.-ft. - can mean the difference between easy going and a sluggish ride. More transmission speeds means a better overall ratio spread - in other words, smoother acceleration - and the 2019 Ford Explorer5 has 65 speeds, 1 more than the 2019 Toyota 4Runner3. 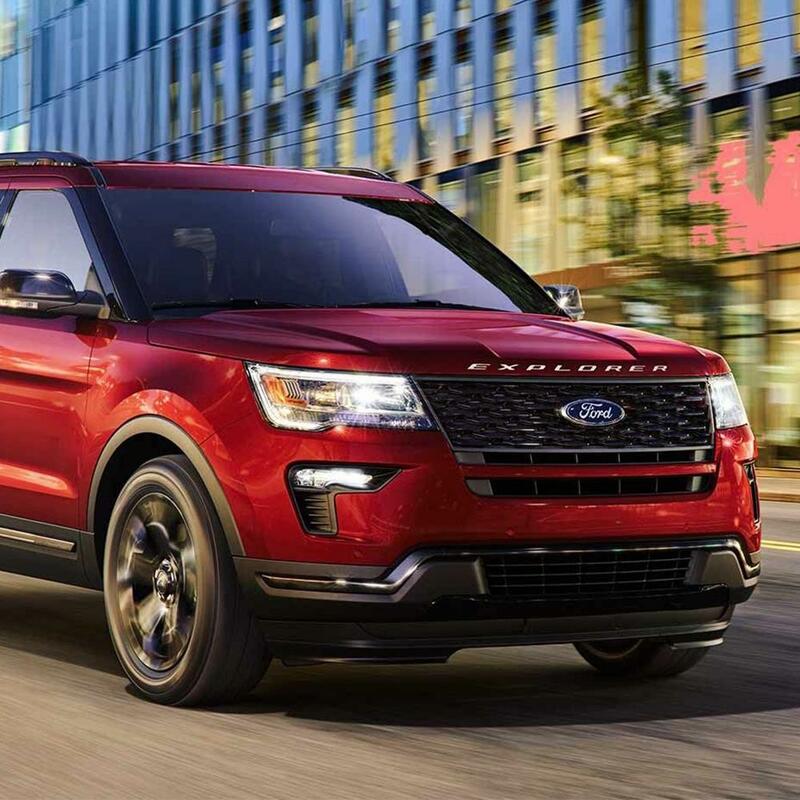 Enjoy the increased safety, fuel economy, and yes, fun, of the 2019 Ford Explorer's5 optional turbocharged engine. Sadly, turbo isn't an option on the 2019 Toyota 4Runner. Tired of hunching over the steering wheel, or scooting the driver's seat all the way back? No worries. The 2019 Ford Explorer5 offers 4 more inches of combined front head and leg room than the 2019 Toyota 4Runner3, making the awkward hunch-back driving pose a thing of the past. The 2019 Ford Explorer's2 lower ground clearance, 82 vs. 93, means a lower center of gravity and more stability. Offering 4 more inches in combined rear head and rear leg room than the 2019 Toyota 4Runner3, the 2019 Ford Explorer5 is roomy enough for even the tallest of your passengers to travel in comfort. Bye-bye cramped "airplane-legs," hello rear passenger comfort. The 2019 Ford Explorer's5 wider wheelbase can mean greater stability. How much more stability? A noteworthy 3 inches' worth. In the very unlikely event you'll need it, help is just a phone call away, 24 hours a day, 7 days a week, with the 2019 Ford Explorer's5 Roadside Assistance, standard for 3 years longer than 2019 Toyota 4Runner3. Want more power and higher top speeds? Consider the 2019 Ford Explorer2, boasting 59 more horses and 10 more horses per ton than the 2019 Toyota Highlander4, 3. The 2019 Ford Explorer's2 increased torque - 3502 lb.-ft. vs. 2633 lb.-ft. - can mean the difference between easy going and a sluggish ride. 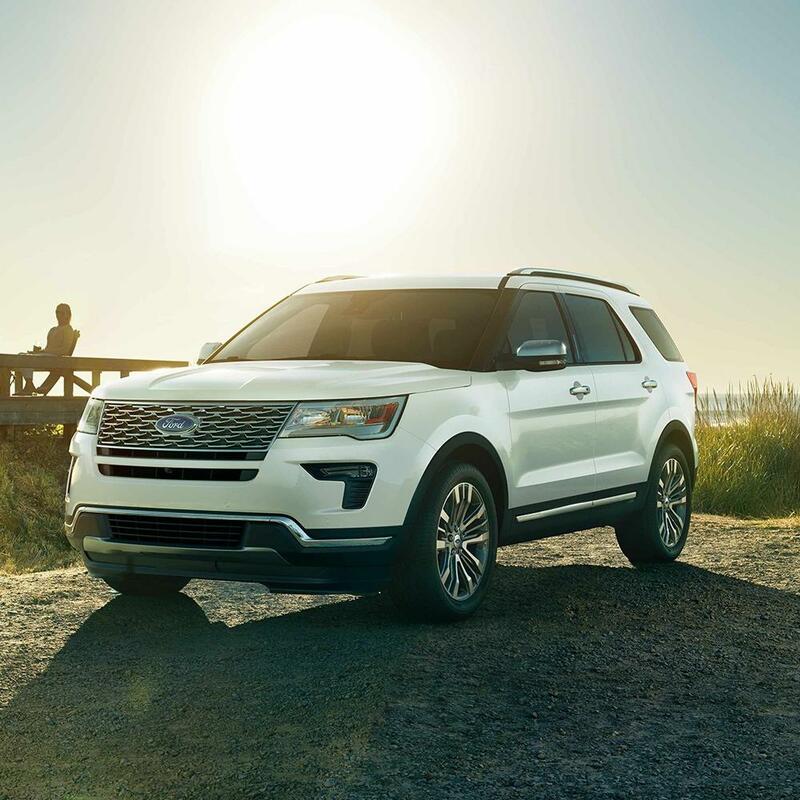 Enjoy the increased safety, fuel economy, and yes, fun, of the 2019 Ford Explorer's5 optional turbocharged engine. Sadly, turbo isn't an option on the 2019 Toyota Highlander. Tired of hunching over the steering wheel, or scooting the driver's seat all the way back? No worries. The 2019 Ford Explorer5 offers 2 more inches of combined front head and leg room than the 2019 Toyota Highlander6, making the awkward hunch-back driving pose a thing of the past. 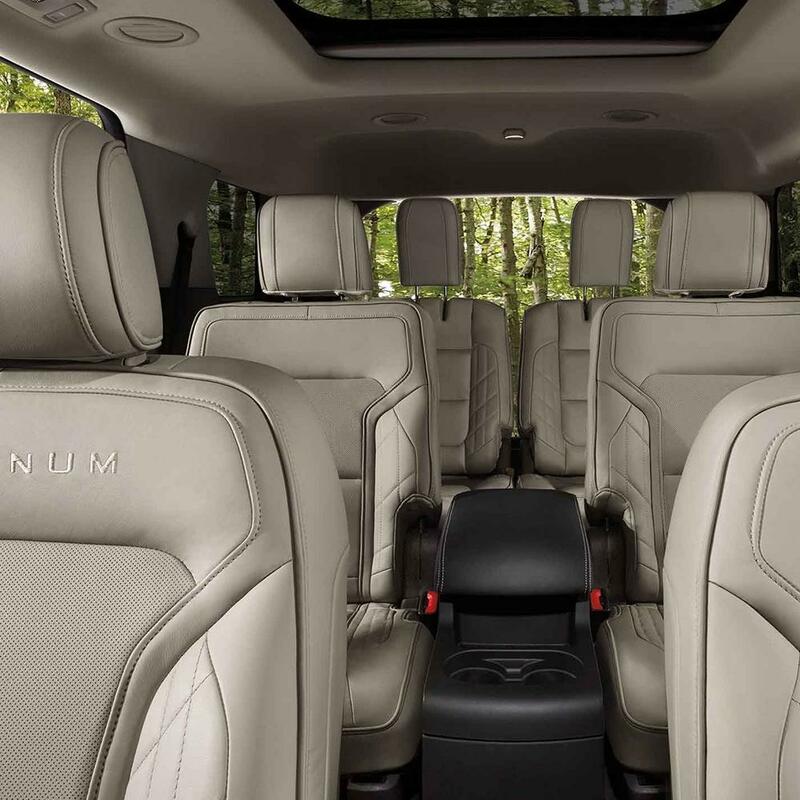 Offering 2 more inches in combined rear head and rear leg room than the 2019 Toyota Highlander6, the 2019 Ford Explorer5 is roomy enough for even the tallest of your passengers to travel in comfort. Bye-bye cramped "airplane-legs," hello rear passenger comfort. In the very unlikely event you'll need it, help is just a phone call away, 24 hours a day, 7 days a week, with the 2019 Ford Explorer's5 Roadside Assistance, standard for 3 years longer than 2019 Toyota Highlander6. Want more power and higher top speeds? Consider the 2019 Ford Explorer2, boasting 130 more horses and 33 more horses per ton than the 2019 Hyundai Santa Fe3, 4. 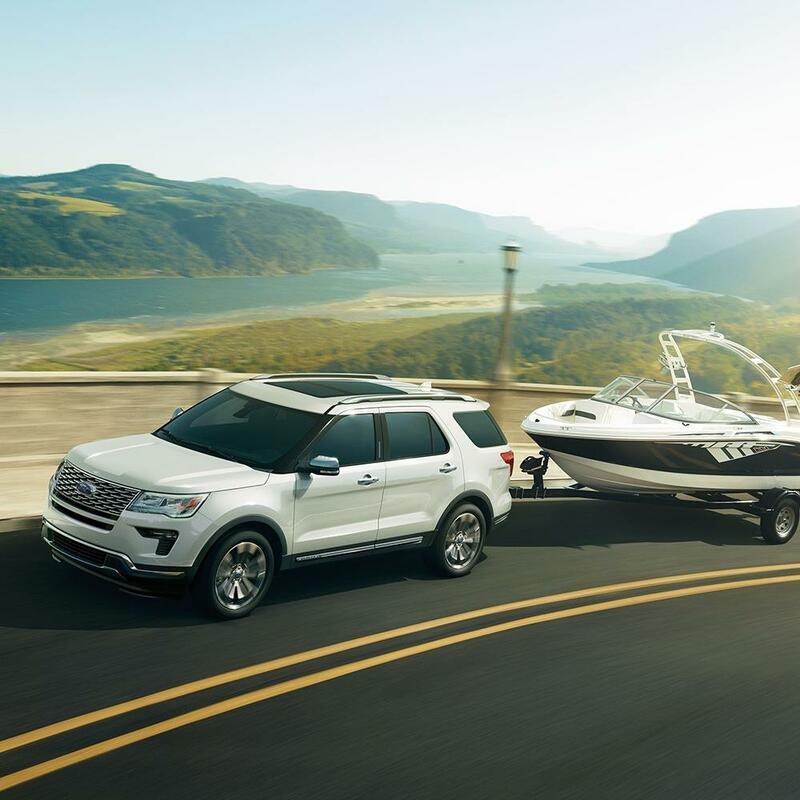 The 2019 Ford Explorer's2 increased torque - 3502 lb.-ft. vs. 2603 lb.-ft. - can mean the difference between easy going and a sluggish ride. No more scuffing the bottom of your car in steep driveways - the 2019 Ford Explorer6 has more than enough ground clearance - 1 inch more than the 2019 Hyundai Santa Fe7 - to make it in and out without the dreaded scrape. 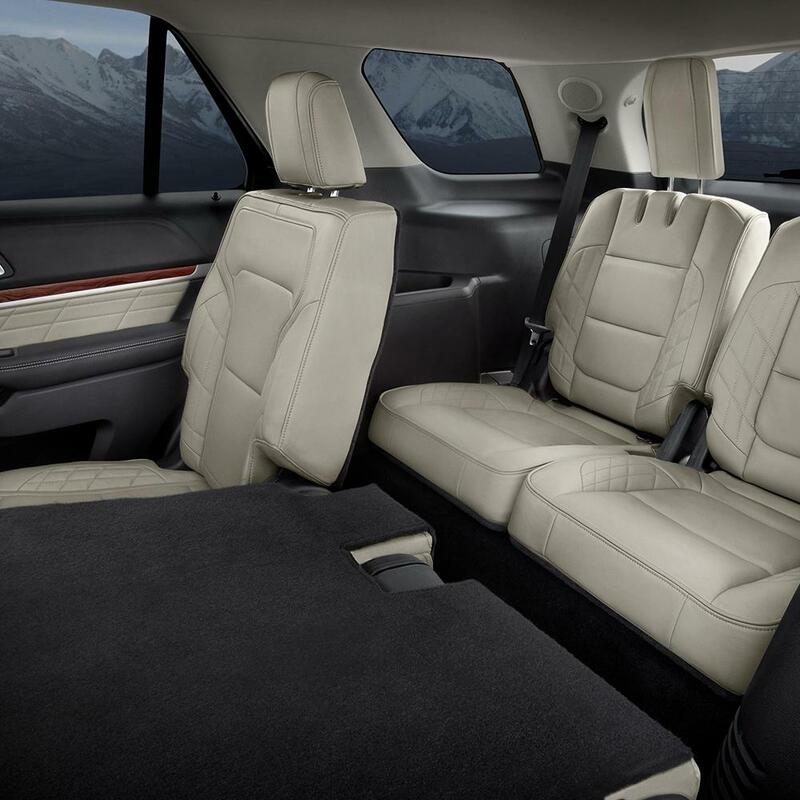 Offering 2 more inches in combined rear head and rear leg room than the 2019 Hyundai Santa Fe7, the 2019 Ford Explorer5 is roomy enough for even the tallest of your passengers to travel in comfort. Bye-bye cramped "airplane-legs," hello rear passenger comfort. 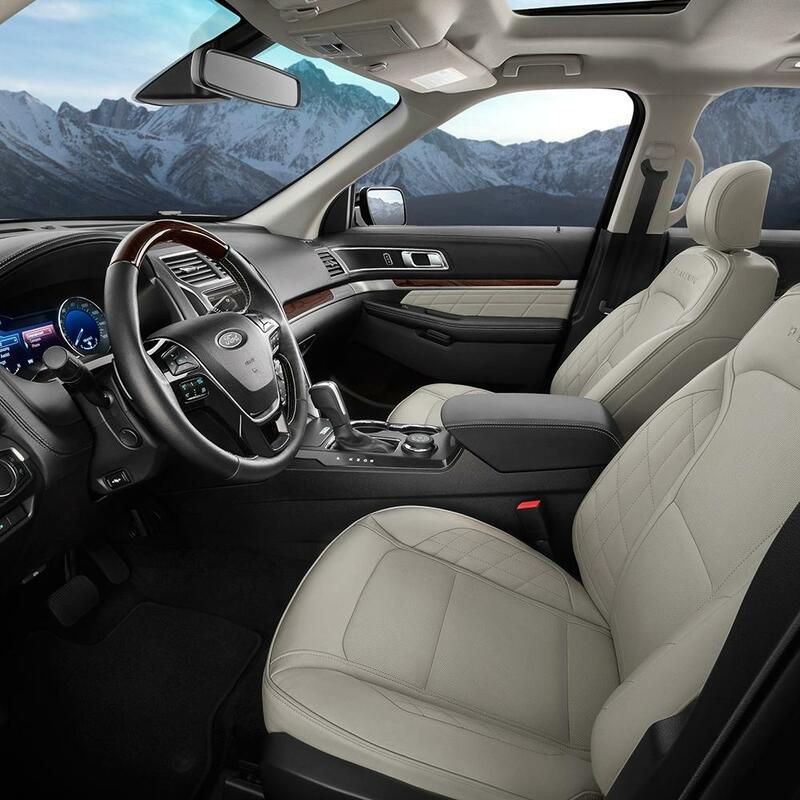 The 2019 Ford Explorer5 offers seating for 75 of your friends and family - in the 2019 Hyundai Santa Fe7, 2 of them would have to stay behind. The 2019 Ford Explorer's5 wider wheelbase can mean greater stability. How much more stability? A noteworthy 4 inches' worth. Want more power and higher top speeds? Consider the 2019 Ford Explorer2, boasting 75 more horses and 3 more horses per ton than the 2019 Kia Sorento3. The 2019 Ford Explorer's2 increased torque - 3502 lb.-ft. vs. 2523 lb.-ft. - can mean the difference between easy going and a sluggish ride. 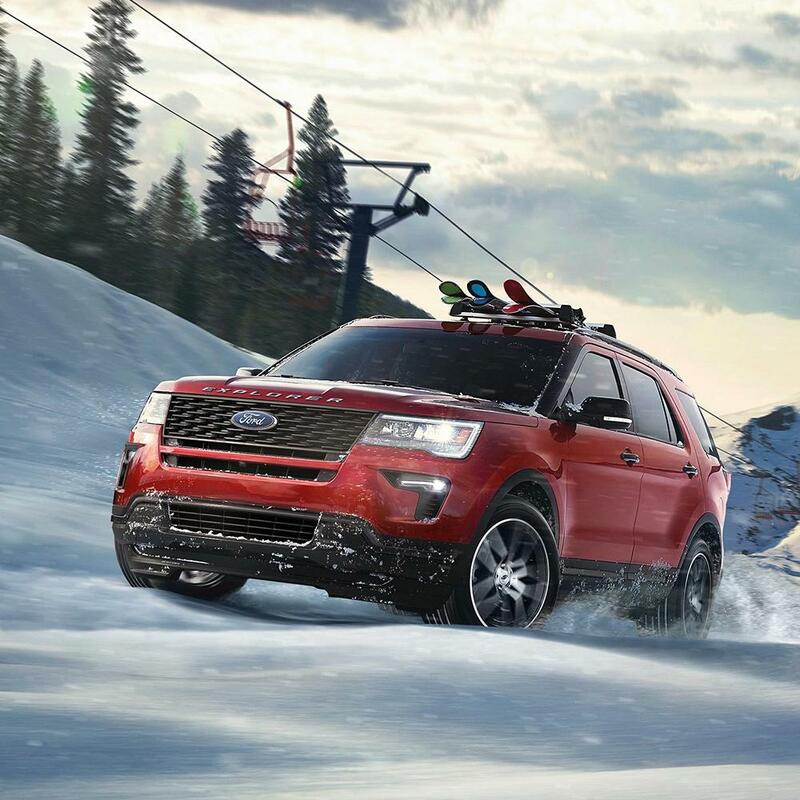 Enjoy the increased safety, fuel economy, and yes, fun, of the 2019 Ford Explorer's4 optional turbocharged engine. Sadly, turbo isn't an option on the 2019 Kia Sorento. Tired of hunching over the steering wheel, or scooting the driver's seat all the way back? No worries. The 2019 Ford Explorer4 offers 4 more inches of combined front head and leg room than the 2019 Kia Sorento5, making the awkward hunch-back driving pose a thing of the past. 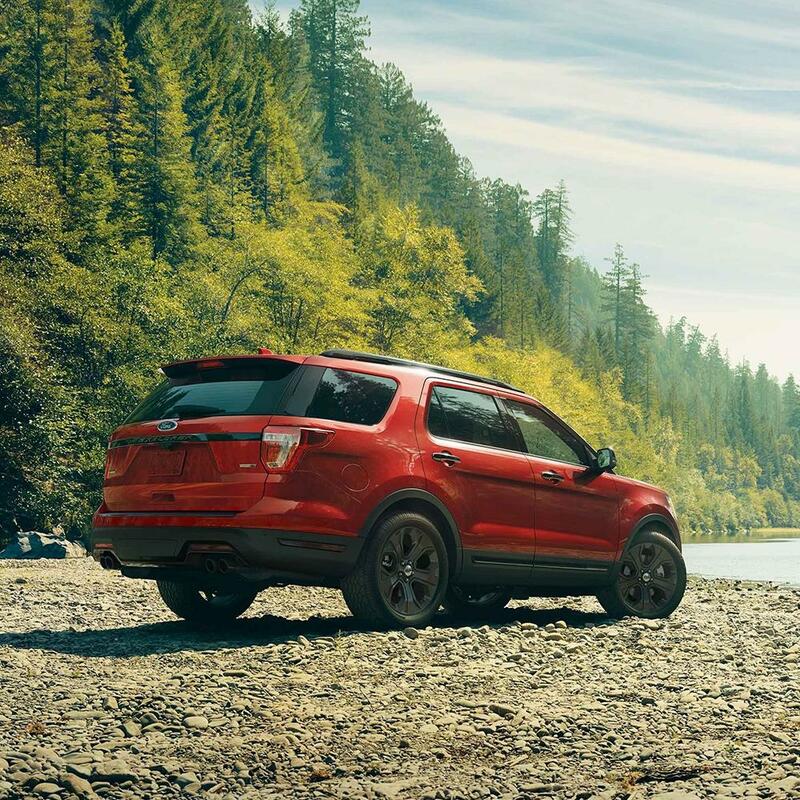 No more scuffing the bottom of your car in steep driveways - the 2019 Ford Explorer6 has more than enough ground clearance - 1 inch more than the 2019 Kia Sorento5 - to make it in and out without the dreaded scrape. 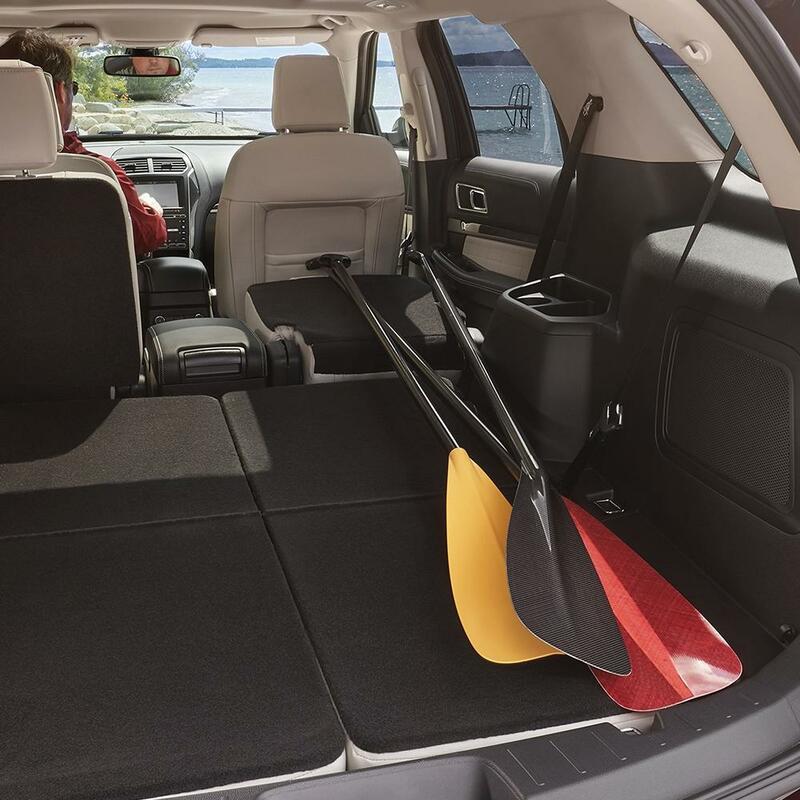 Offering 2 more inches in combined rear head and rear leg room than the 2019 Kia Sorento5, the 2019 Ford Explorer4 is roomy enough for even the tallest of your passengers to travel in comfort. Bye-bye cramped "airplane-legs," hello rear passenger comfort. The 2019 Ford Explorer's4 wider wheelbase can mean greater stability. How much more stability? A noteworthy 3 inches' worth. If you're trying to pinch pennies, every single mile per gallon toward better fuel economy counts, including the one between the 2019 Ford Explorer2 and the 2019 Jeep Grand Cherokee3 on the highway. Tired of hunching over the steering wheel, or scooting the driver's seat all the way back? No worries. The 2019 Ford Explorer2 offers 4 more inches of combined front head and leg room than the 2019 Jeep Grand Cherokee3, making the awkward hunch-back driving pose a thing of the past. Offering 2 more inches in combined rear head and rear leg room than the 2019 Jeep Grand Cherokee3, the 2019 Ford Explorer2 is roomy enough for even the tallest of your passengers to travel in comfort. Bye-bye cramped "airplane-legs," hello rear passenger comfort. 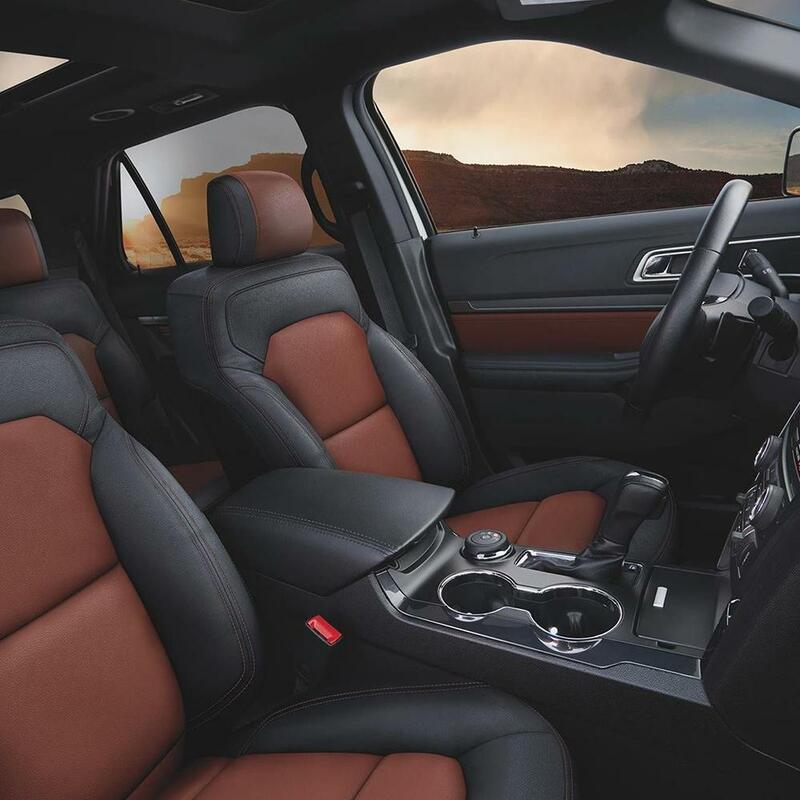 The 2019 Ford Explorer2 offers seating for 72 of your friends and family - in the 2019 Jeep Grand Cherokee3, 2 of them would have to stay behind.